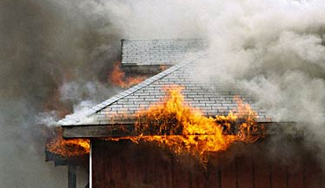 When fire or natural disaster strikes, don’t forget about BroadShield’s insurance reconstruction department. Our metal buildings company and its partners are certified and approved to work with insurance claims. BroadShield home builders will work with you to assist the adjuster in assessing your property damage, make sure you are maximizing the benefits insurance affords, expedite your claim, and get your property back to the way it was. Having experienced what it takes to work with insurance agents and the companies they represent means your project is sure to get completed in an expedited fashion. Instead of a novice assessing the damage of your property, BroadShield can cut your claim resolution time down considerably with the years of experience necessary. Our services cover complete repair and restoration along with detailed, precise pricing and estimates to assure accuracy. This gives you the knowledge you need to discuss your complete needs with your insurance company. Let our experience help to maximize your insurance benefits. Get in touch with our building contractors today.